Seat frames can be built to customer specifications. Seat frames can be made of angle iron, round tube, solid tube, and can be made as assemblies or part of assemblies. 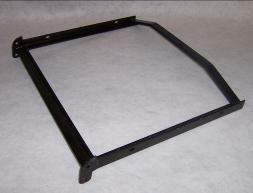 Seat frames can be made to customers specifications. These can be built as assemblies or at of assemblies. Parts can be finished with powder coating or any other types of finish. We provide customer with finished product. We also have the capabilities to supply customers with whatever hardware they may need for assembly. There are many different designs and we will build to spec. If you have any questions about this product or products alike please feel free to call. We will build to customer specifications.